Scenic views of Lockes Island and the open ocean, The South facing property is 3.69 acres in size and has road frontage with electricity. The elevation of this property allows for panoramic views that are ever changing. There is 180ft. of ocean frontage on a well protected fishing cove with a community wharf and a marked navigation channel. This would be a very safe anchorage. 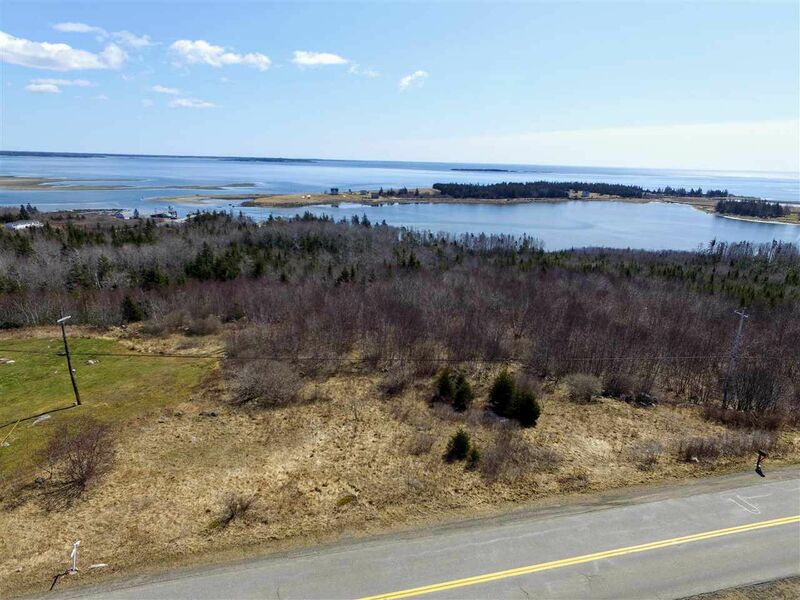 Exit 26 off HWY 103 towards Shelburne, follow Water St. to George turn left, at Hammond St. turn right go 16.3 km, property is on right overlooking Lockes Island, property is signed.